David has worked in the field of Social Services, Mental Health and Substance Abuse since 1984 and attained his Masters Degree in 1989. During that time, he has worked in and directed programs for adults and adolescents, providing services along the full continuum of care. His experience includes supervision of inpatient treatment, detoxification, long and short term residential programs, outpatient and aftercare programs. David maintained a Certified Addictions Professional status during much of his career. David has had the opportunity to be involved in clinical research in the addictions field and was the project director on the Marijuana Treatment Project under the direction of the Substance Abuse and Mental Health Services Administration. He has also authored and co-authored on topics related to addictions and Motivational Interviewing. David has provided Wraparound services, training and coaching since 2003. He is co-authoring our new MiiWrap textbook with Jim, and is training and coaching the new materials. David has provided over 500 trainings and presentations at local, state and national conferences. 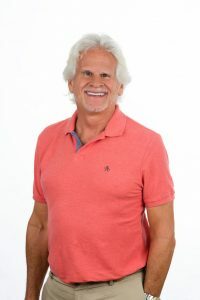 In addition, David has provided direct skill set coaching to over 1,000 staff members related to improving proficiency of Motivational Interviewing and Wraparound.